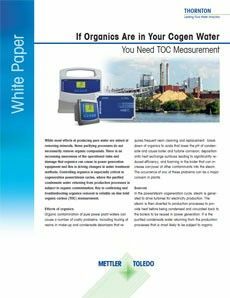 Production and monitoring equipment for pharmaceutical waters requires careful selection and design to ensure water system process efficiency and control. 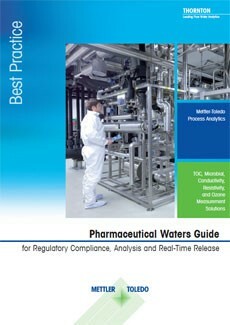 This guide to pharmaceutical waters production covers vital topics including water purification technologies and system capabilities, critical measurements, global pharmacopeia regulations, and the latest technologies to assist you in the design, operation, control, validation, and compliance of your water systems. Pharmaceutical companies invest considerable capital in state-of-the-art instrumentation, purification equipment, storage and distribution loops, and importantly in the calibration and certification of their water systems. 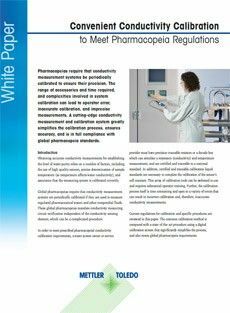 By understanding water, its sources and impurities, and the capabilities and limitations of purification methods, a water system can be designed to meet not only a pharmaceutical company’s internal water quality requirements, but also to meet global pharmacopeia regulations. 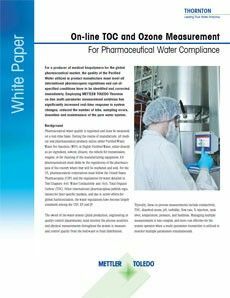 METTLER TOLEDO is dedicated to providing our pharmaceutical industry customers with solutions for water system analysis and control while ensuring regulatory compliance for all liquid analytics measurements. 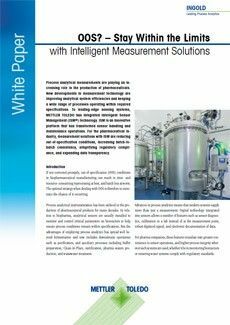 Decades of industry leadership in the process analytics environment ensure that METTLER TOLEDO can provide accurate and reliable measurements with robust solutions that meet the demanding needs of the pharmaceutical industry. 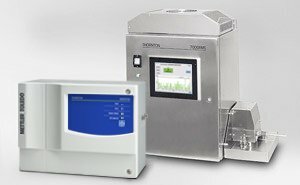 Intelligent Sensor Management (ISM®) is a unique technology from METTLER TOLEDO for advanced process management. Highlights of this digital sensor technology includes predictive diagnostics, sensor calibration away from the process, Plug and Measure start up, and electronic documentation. These features provide users with a better understanding of their pro­cesses; and greater reliability, safety, a lower cost of ownership, and improved traceability. 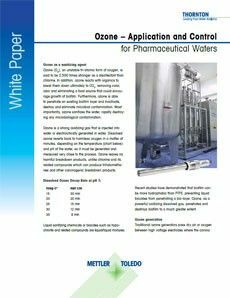 Dissolved ozone is an effective sanitizer for pharmaceutical and personal care products water systems.